June 23rd & 24th, 2018!! 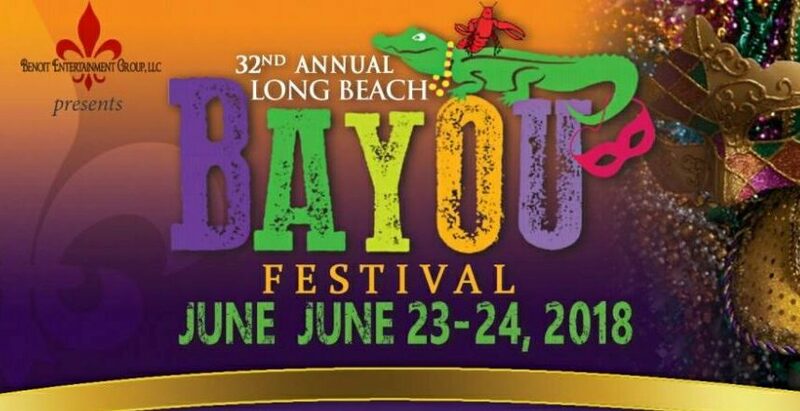 On behalf of Full House Promotions & the team here at T.U.M.S., we are giving away 2 tickets (1 pair) to see the 32nd Annual Long Beach Bayou Festival on Saturday, June 23rd AND 2 tickets (1 pair) on Sunday June 24th – 2 winners total! Come check out the music, food and family fun at the the Queen Mary Events Park! All you have to do to enter is fill out form below! Drawing to take place Wednesday afternoon & winners will be announced here on T.U.M.S. June 20th, Wednesday Evening, so don’t wait too long!! UPDATE JUNE 21st, 2018: Winners Announced! Click HERE to learn more about the big event!